Happy Day! And happy Trendy Tuesday! Great to have you here as always. Isn't summer wonderful? I love it so much I wish it would last ALL year long. Your projects are SO much fun to look through. I love the summery stuff you are doing. I just wish I had time to remake each and every project you have linked up! I had my own fun last week making a way cool Vintage Party for my Ally girl. It was a lot of fun and turned out great. I think I had the most fun of anyone!! ha! Here are the gorgeous features of the week. 1. DIY Garden Signs from Sew And Dipity FUN!! 2. Lemonade Stand from Scattered Thoughts of a Crafty Mom I WANT one! 3. Goldfish party from Days of Chalk and Chocolate WILD and pretty! 4. 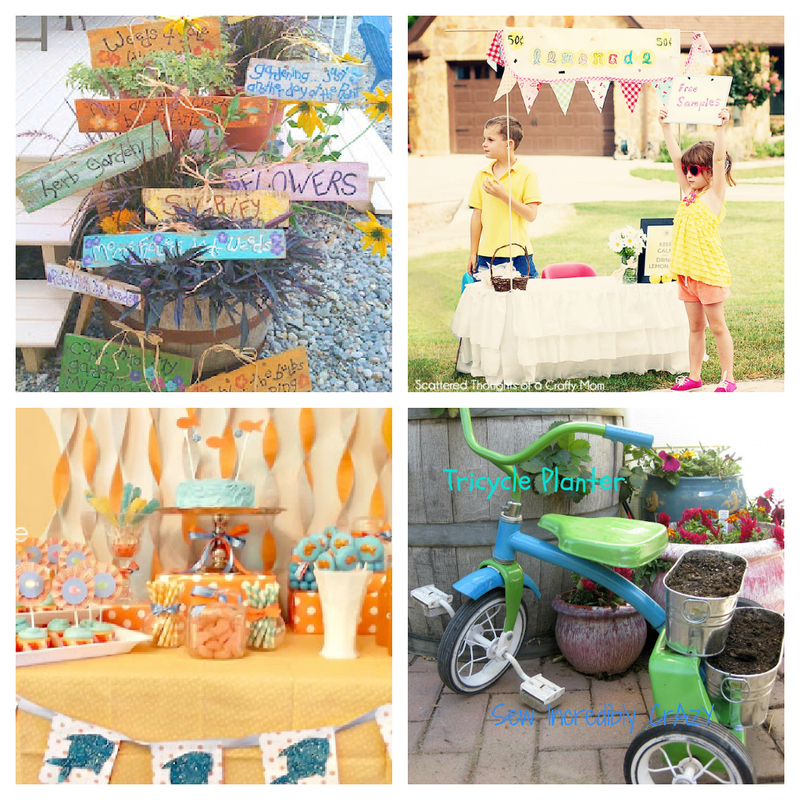 Tricycle Planter from Sew Incredibly Crazy FUN and creative! Thanks so much for the invitation...all linked up! I don't see where to link up! Am I blind? Thanks so much for hosting. I would love for you to visit, and link up on my Monday linky party. Thanks for the invite! It's my first time here and it's a lovely party, filled with inspiration! Thanks for hosting it! Hi Sara!! First time linking up here and can't wait to see what everyone has been up to!